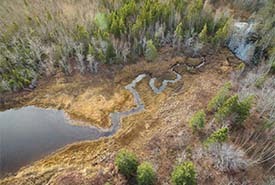 Abrams Village is where the Nature Conservancy of Canada (NCC) owns a 31-acre (13-hectare) property that features wetland and coastal habitat, which is known for its almost pristine salt marsh. 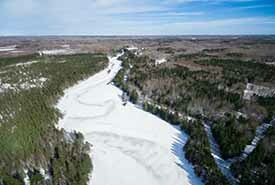 NCC owns a 128-acre (52-hectare) property behind popular Blooming Point beach. 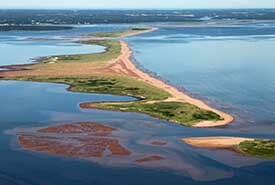 In 2017, the Nature Conservancy of Canada protected 150 acres (60 hectares) on the Cascumpec Sandhills, a near-shore island in Alberton, PEI. 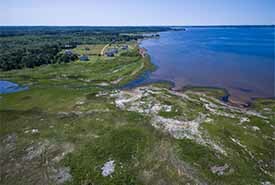 Located on Egmont Bay, on the southwest coast of PEI, The Nature Conservancy of Canada conserved 55 acres of salt marsh and coastal forest along Enmore River in 2017. 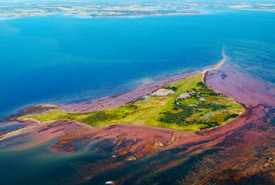 The Nature Conservancy of Canada successfully protected a historic site, Governors Island, in Prince Edward Island that was a target for conservation by many groups for over 40 years. 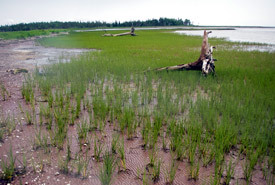 NCC currently owns 90 acres of land on Holman’s Island, which sits in Bedeque Bay. 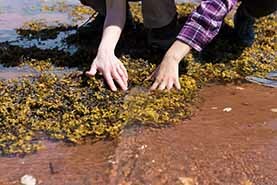 Percival River, which feeds into Egmont Bay provides Islanders with a view rarely seen on Prince Edward Island: forest all around you. 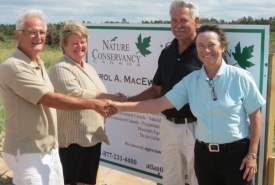 The 34-acre (14-hectare) site was a gift to the Nature Conservancy of Canada by a PEI family in memory of their late brother, Errol A. MacEwen. 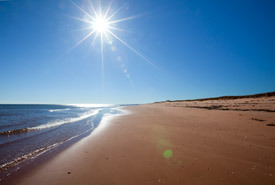 The Conway Sandhills are part of a 50 kilometre-long sand dune and wetland complex on the north shore of western Prince Edward Island, stretching from Malpeque to Jacques Cartier Provincial Park, west of Alberton. 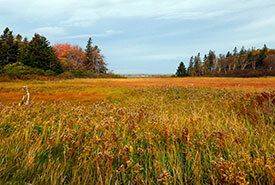 NCC currently owns 30 acres (12 hectares) in Murray Harbour in southeastern Prince Edward Island.